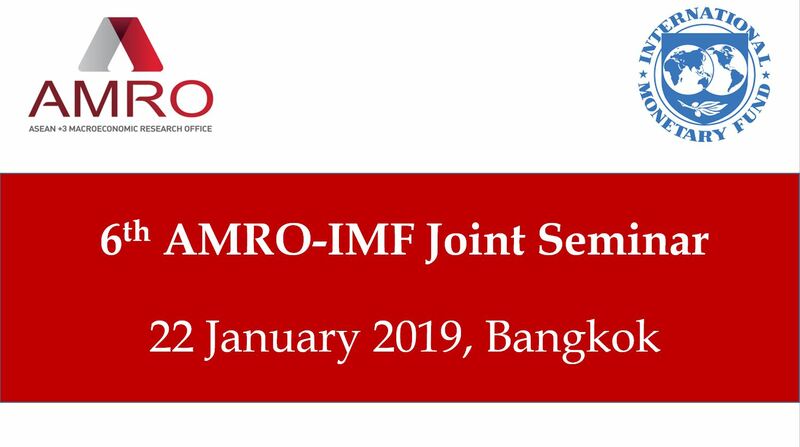 The ASEAN+3 Macroeconomic Research Office (AMRO) and the International Monetary Fund (IMF) will hold their 6th Joint Seminar on 22 January 2018 in Bangkok. The event will comprise two sessions. The first one, chaired by AMRO Chief Economist Dr Hoe Ee Khor, will discuss ways to build capacity and connectivity to address infrastructure gaps in East Asia. The second session, moderated by Ms Nada Choueiri, Division Chief at the Asia-Pacific Department of the IMF, will focus on reinvigorating trade integration and investment liberalization in ASEAN. Participants include representatives from ASEAN+3 member authorities, the private sector, and other international financial institutions. As an annual event, this seminar provides an important platform for AMRO to consult various stakeholders on its ongoing studies, discuss regional macroeconomic and financial issues, and strengthen its collaboration with the IMF. 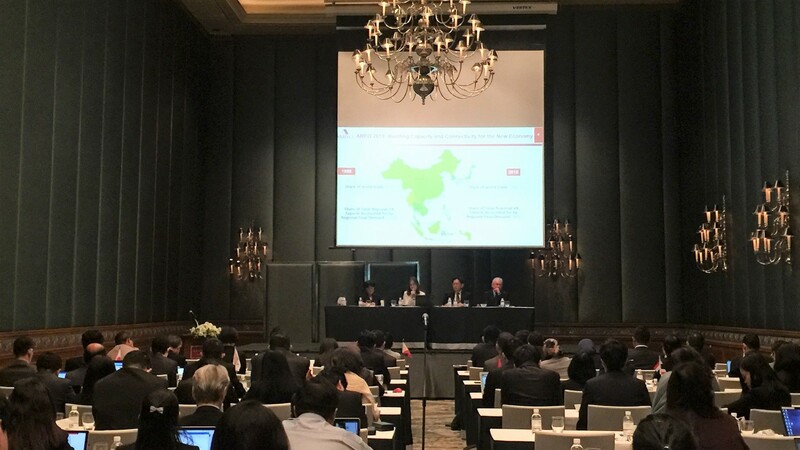 The thematic study for AMRO’s ASEAN+3 Regional Economic Outlook (AREO) 2019, on regional capacity and connectivity, builds on the previous two years’ themes on drivers of growth and resilience and growth in ASEAN+3 twenty years after the Asian financial crisis (AFC). building capacity and connectivity will promote regional integration and enhance resilience and growth in the ASEAN+3. Multilateral development banks, the Belt and Road Initiative (BRI) and other intra-regional investment projects play an important role in addressing infrastructure gaps and meeting the development aspirations of both investors and host nations. Escalating trade tensions and the potential shift away from a multilateral, rules-based trading system are threats to the global economy, and ASEAN. Continued intensification of trade tensions and the associated further rise in policy uncertainty would likely be harmful to all countries, especially if they affect business confidence, trigger financial market volatility, and slow investment and trade. Indeed, trade has been an important driver of the economic success of the ASEAN region over the past two decades. The pace of trade integration and GVC participation in ASEAN has waned recently and the best way to counter the wave of protectionism coming from some parts of the world is not to engage in protectionism, but rather to speed up the ASEAN integration process. ASEAN has the opportunity now to counteract global trade tensions by liberalizing among members—and regionally— trade and investment regimes, particularly in the services sector by concluding a bold ASEAN Trade in Services Agreement and easing FDI restrictions. This will be essential to boost intraregional and global trade and thus develop a new driver of growth. 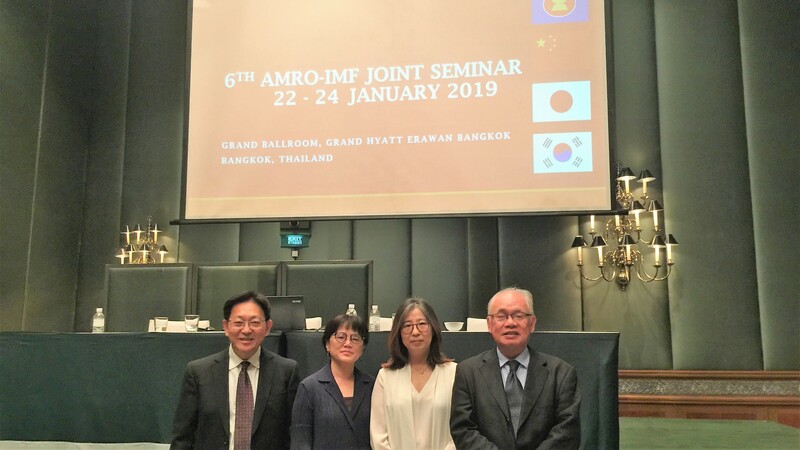 BANGKOK, 22 January 2019 – The ASEAN+3 Macroeconomic Research Office (AMRO) and the International Monetary Fund (IMF) held the 6th AMRO-IMF Joint Seminar today. This seminar takes place annually, and serves as a useful platform for AMRO to consult with its stakeholders on its surveillance work, particularly studies on longer-term structural issues facing the region, as well as deepen its engagement with the IMF. Seminar participants included policymakers from ASEAN+3 member authorities, and representatives from international financial institutions and the private sector. AMRO Chief Economist, Dr Hoe Ee Khor moderated the first session, during which AMRO presented on its thematic study ASEAN+3: Building Capacity and Connectivity for the New Economy. The session examined the region’s infrastructure needs, and ways to address existing gaps in building capacity and connectivity. This is also the theme for AMRO’s ASEAN+3 Regional Economic Outlook (AREO) 2019, and the seminar provided an opportunity for AMRO to consult with the diverse group of participants and benefit from their insights on the issues. The second session was moderated by Ms Nada Choueiri, Division Chief at the Asia-Pacific Department of the IMF. It explored ways for ASEAN to speed up integration to boost intraregional and global trade and develop a new driver of growth. The seminar is attended by policymakers from ASEAN+3 member authorities, and representatives from international financial institutions and the private sector. Panelists in session 1. From left to right: Dr Khor Hoe Ee, AMRO Chief Economist; Dr Lam San Ling, AMRO; Dr Cyn-Young Park, Director, Regional Cooperation and Integration, Asian Development Bank (ADB); and Dr Bandid Nijathaworn, Former Deputy Governor, Bank of Thailand (BOT); and current AMRO Advisory Panel Member.